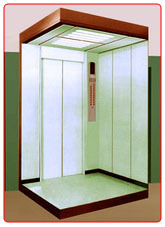 SIGNO Elevators reputed and fastest growing elevator service provider company primarily working in India. Our most working state are Maharastra, Gujarat, Uttar Pradesh, Uttaranchal, NCR, Madhya Pradesh, and other surrounding territories .SIGNO having its in house manufacturing ,maintenance facilities. SIGNO take pleasure in offering a wide range of elevators such as Passenger Elevators, Goods Elevators.SIGNO is also credited with a perfect blend of Advanced Engineering, Latest technology,Customer Service and Economy. Our team of dynamic & skilled engineers will assist & provide you with right part, right price & right service according to your unique needs. We are capable to provide large varieties of elevators and lifts, which are precision designed to move proficiently and work on high traffic load in any kind of buildings. Signo Pvt. Ltd. is registered in Indian Government Company Registrar, which makes a trust on its clients. It is an ISO 9001:2008 certified company, guided and managed by efficient entrepreneurship. Signo elevators offers total solutions in vertical transportation-Concept, Design, Manufacture, Testing, installation, Commissioning and maintenance of all types of elevators with the committed term and conditions. Our vast experience gives a perfect market research approach in the elevators industry. Also developed invaluable insights into the strengths & weak points of the current industry. We have made a mile stone in service and client base who are highly satisfied with services by our team. Signo reached the ultimate heights of perfection and performance in this industry. SIGNO mainly provide several types of services. Signo have their workshop for maintenance & repairing facility which is equipped with the experience engineers who always indulge in the research and development in INDIA. Signo have a huge stock of elevators accessories and equipment manufacturing setup in our workshop. Lucknow (U.P. )-India - 226 018. © 2015 Signo Elevators Pvt. Ltd.. By .